Posted on Jun 23, 2016 by Jason Stegent. If you’ve built a strong value proposition and the deal is looking like it’s stuck and quiet on the other end, reiterate why you and the prospect got to this stage in the first place and why your solution will solve their challenges. There’s a lot of value in saying, “Jim, when we first got together you mentioned that driving qualified leads into the pipeline was your biggest challenge. You’ve worked with organizations that drove ‘leads’ for you, but they rarely met your defined criteria of what a qualified lead should be, and thus you were wasting your time on contacts that either weren’t the right fit or they weren’t close to a buying cycle. 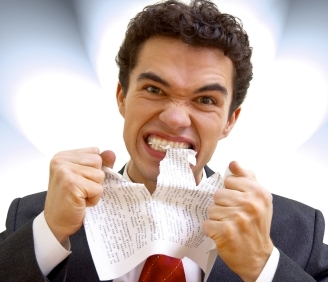 You told me this was killing your pipeline and that your sales team was becoming frustrated. We came up with a solution that would get you in front of ‘sales ready’ leads and increase your pipeline value 5 X. I wanted to make sure that solving this challenge and increasing pipeline value is still important to you, and that you’re ready to do something about it by moving forward with our solution.” How much better is that than “Just checking in?” Another road to take would be to state the risk they’re facing by not doing something. As a provider of webinar-based marketing solutions, I believe that webinars are a great tool to accelerate opportunities through the pipeline more effectively. Webinars are no longer just a tool to educate your audience and drive more qualified leads. They’re a fantastic weapon to help you close business. When it makes sense, we often use on-demand webinars as tools to get a prospect moving. Or if we have an upcoming webinar, take The Seven Costly Sins of Lead Generation for instance, that’s going to cover a lot of issues that one of our key prospects is faced with, we’ll send them a personal invitation. “Dave, we have a webinar coming up next week where we’ll cover a lot of the ideas that you and I have brainstormed together over the last few months. Here’s a link to register…I hope you can make it.” Value, value, value. I know it sounds simple, but not enough sales reps do it. If you can do your due diligence and provide value during every stage of the funnel, you’re going to break that awkward prospect silence and get more signed contracts in your inbox. If you’re compelled, please share your feedback below. Talk soon! This entry was posted in Recent Blog Posts on June 23, 2016 by Jason Stegent.